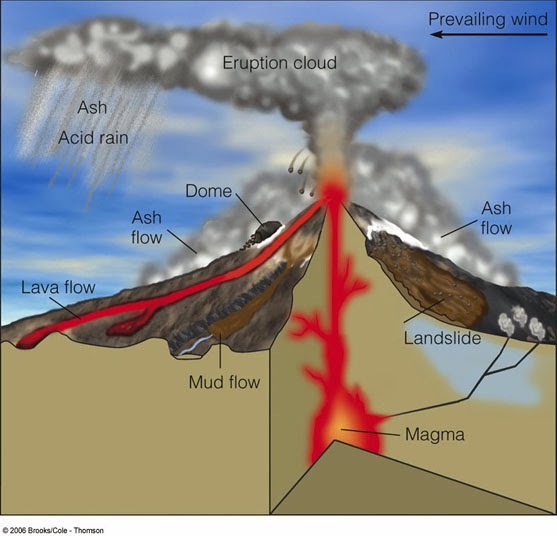 ü The molten magma in the earth moves inside the earth and causes the movement of the earth. 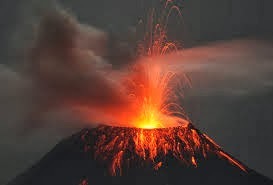 ü A volcano is a vent opening into the earth crust through which molten material erupts abruptly. ü Earth quakes are the vibrations that cause in the earth. ü The place where the vibration begins is called focus. ü Focus is the origin of the seismic energy. 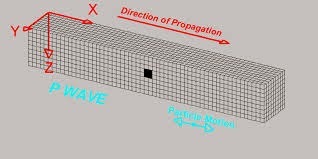 ü True location of an earthquake and source of seismic waves is focus. ü The place above the focus on the surface is called epicentre. ü More damage at the epicentre and decreases gradually. 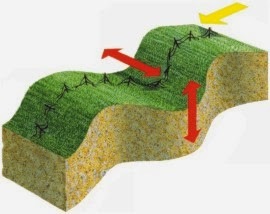 There are three types of earthquake waves. ü P-Waves are also called Primary waves. ü These are also called longitudinal waves. ü These are a type of elastic waves. ü These waves are the fastest waves compared to S and L waves. ü They can travel through gases, liquids and gases. ü These waves pull and push the objects. ü P-Waves are recorded by seismometer. ü P-Waves arrive first to the record station. ü This is a sensitive instrument. ü This is an instrument used to record the seismic waves. ü This records the earth quakes that are thousands of kilometers away. ü This is an instrument to record the intensity of the earth quakes. ü The Richter scale has 0 to 10 points. ü Intensity Scale: This is developed by Mercalli of Italy. This has 0 to 12 points. ü S-Waves are also called secondary waves. ü These waves also move through the body of an object unlike the primary waves. ü These are also called transverse waves. ü They travel only through solid medium. ü They do not travel through the liquid. ü S-Waves arrive second at the record stations. ü Like P-Waves the S-Waves also travel the same distance. ü The objects are moved side to side with S-Waves. ü These are also called surface waves. ü L-waves are also called Love waves and are named after British Geophysicist A.E.H. Love. ü L-waves make the rock to move horizontally. ü These are more destructive compared to the P and S waves. ü The vertical displacement does not take place. ü This is a Japanese word. ü This means Harbor wave. 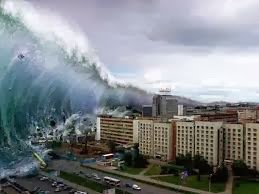 ü A tsunami is a series of water waves that causes displacement of large volume of water. ü The most important reason for Tsunami is the tectonic forces. ü India in the year 2007 unveiled an early tsunami warning system. ü This is the first of its kind in the world. ü This will sound an alert 13 minutes after an undersea earthquake in two potential source regions. ü This is set up at the Indian National Centre for Ocean Information Services (INCOIS) in Hyderabad. THE REGIONS THAT EXPERIENCE THE EARTH QUAKE MOST7 sunami is the ti is the ttectonic splacement of large volume of water. ü The Circum pacific belt runs through west coast of both North and South America, Aleutian Islands and other islands in the same region. ü This region experience 68 percent of the total earth quakes. ü The Pacific zone is also called ‘Ring of Fire”. 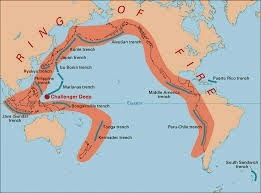 ü The term ring of fire is related to volcanoes. ü The mid Atlantic region experience 21 percent of the earth quakes. ü The Mid continental belt experience 11percent of the earth quakes.